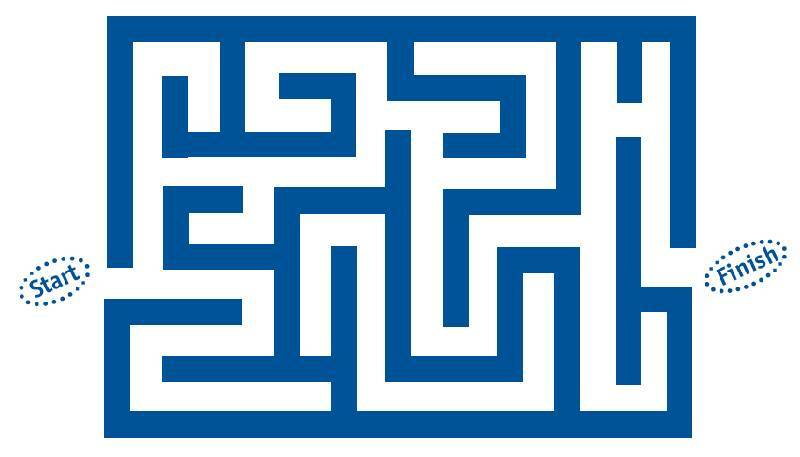 Life is no less than a maze. It has everything – twists and turns, confusions and illusions, dead ends, road blocks and all that stuff which is halting your full potential to come out. 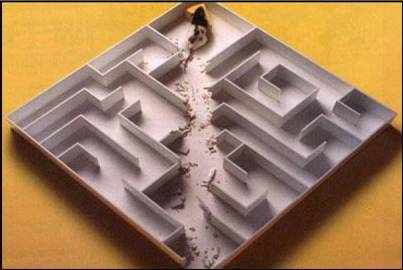 As we can win any maze challenge using planning, similarly life’s various goals and destinations can be achieved through proper planning. 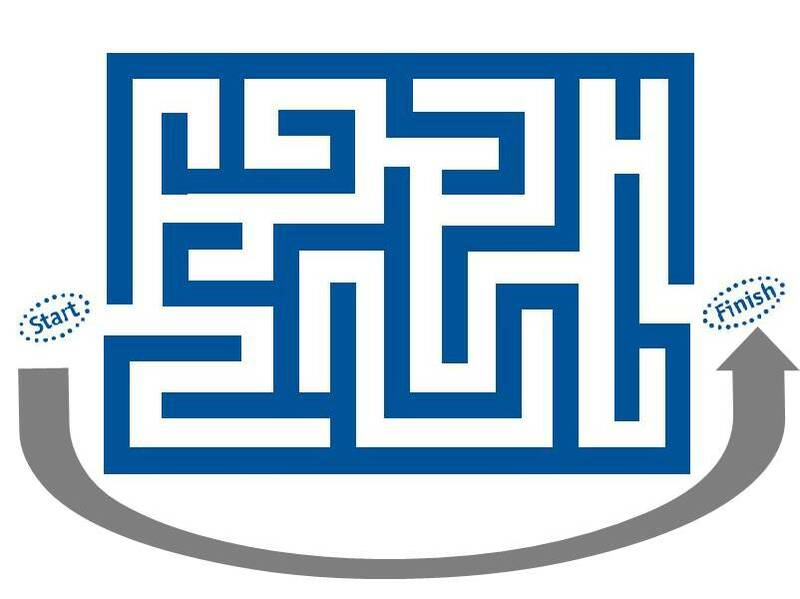 This is a challenge for you: In the following picture you can see a maze. Use your finger and try reaching from start to the finish. If you end up anywhere with a dead end, no problems, you can start the challenge again. And, do not skip this challenge, otherwise you won’t learn anything. That’s how practical stuff works, you know. Okay, I believe that you were able to complete the challenge easily, isn’t it? Let me tell you, this is how we all live our lives – literally going through every twist and turn, stumbling upon every wrong turn we have taken. Let’s face it. We all go through ups and downs but the problem is we keep thinking about the DOWNS for prolonged period. Do you do that too? Now this may seem quite funny but a few of us does live the life the same way. Tearing apart everything, disturbing the whole system, bothering so many people only because they want to reach to their destination (And a few even does). But in today’s world, if you follow the rat’s rule then all you gonna get is some blows from your competitors, so living life the rat way is not the best possible practice. So what can be the best path to reach your destination and goals in life? For this, we need to combine the rat’s rule with the challenge maze. What this shows is that we need to focus always and every time to our final destination, bypassing all the hardships, downfalls, twists and turns, dead ends. Once there was a family of three members – father, mother and a 5 year old child. They went to a festival. The parents started looking here and there to get a toy for their child. While they were busy with their search, they realized that they have lost their child in the crowded festival. They looked here and there for him and finally saw him standing very far away from them. Now here the question for you – What will the parents do next? Of course, they will run towards him, but that is not my question. The question is – While they are running towards their child where will their eyes be focused? Will their eyes be focused at their child or will they be looking here and there seeing what is there in the stalls on the way or looking who all people come on their way while they venture towards their child? I will leave this question unanswered for you. So the next time to face any difficulty on the way towards reaching your goal – try focusing upon the destination rather than the challenge and you will never miss any target in life.